Planned Parenthood caused the Colorado clinic shooting, state rep says. 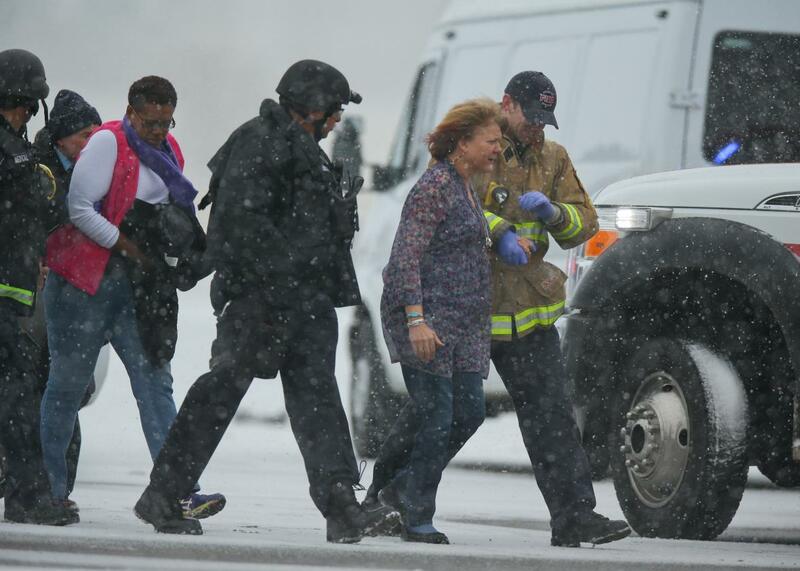 Hostages leave the Colorado Springs, Colorado, Planned Parenthood facility under attack on Nov. 27, 2015. Her comments go further to blame Planned Parenthood for alleged killer Robert Lewis Dear’s attack than any major Republican player has dared, but not by much. “This is so typical of the left, to immediately begin demonizing the messenger because they don’t agree with the message,” Carly Fiorina said on Fox News Sunday of the Center for Medical Progress propaganda videos that appear to have inspired Dear to tell police, “No more baby parts.” But Dear’s motive, Fiorina believes, is a valid one. “The vast majority of Americans agree what Planned Parenthood is doing is wrong,” Fiorina claimed. On Wednesday, Federalist editor Sean Davis tweeted to his 30,000 followers, “PP aborts babies, chops them up, and sells their parts for ‘better than break even,’ ” adding a popular hashtag that Dear would approve of: #PPSellsBabyParts. The idea seems to be that Dear was correct both in his facts about Planned Parenthood’s activities and in his beliefs about the morality of abortion but incorrect in his violent response. In this scenario, Dear’s intellectual position is both highly popular and, contra Windholz, entirely “rational,” but his actions are due to mental illness. So what is the correct course of action to take against baby-killers and baby-choppers, if not vigilante capital punishment? The answer isn’t immediately clear, but in today’s anti-choice landscape, the notion that abortion providers deserve to die isn’t fringe at all. Just a few days before the shooting, Ted Cruz celebrated his endorsement by an anti-choice activist who’s advocated for the execution of doctors who perform abortion. Windholz’s words might be the plainest, but mainstream Republicans’ impulse to hold Planned Parenthood at fault for terrorism perpetrated against it is barely concealed.